Calling all superheroes! 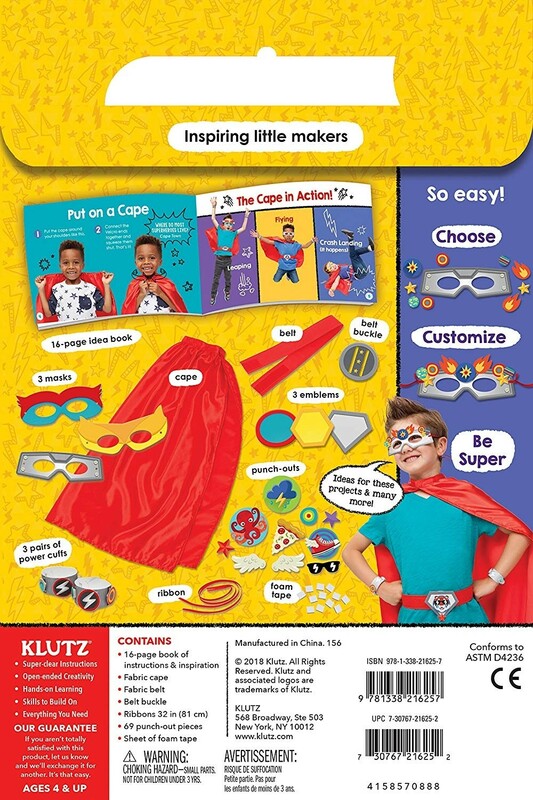 With this set from Klutz Jr. kids can transform themselves into a custom superhero design. 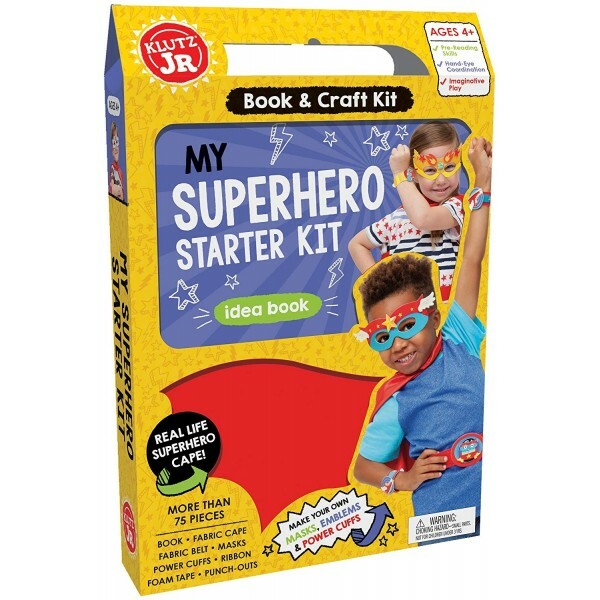 Perfect for pretend play, this starter kit includes a shiny red cape, along with masks and a belt to hide your child's secret identity. Power cuffs and punch-out decorations provide plenty of options for your one-of-a-kind super kid. 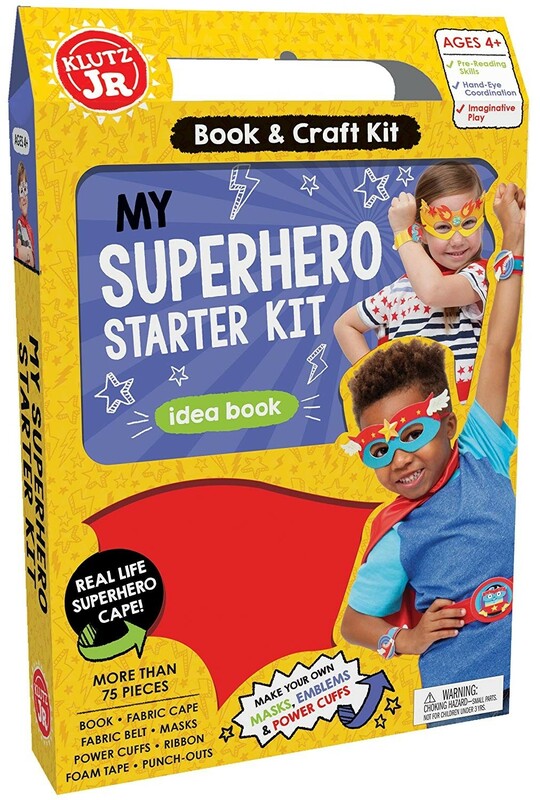 There's more action-packed fun in the included idea book to help kids imagine their storyline, devise their super hero name, and discover their super powers! For more toys to encourage pretend play, visit our Imaginative Play Collection.